YFY is engineering construct Company that offers this wide spectrum of expertise, knowledge and services across our core industries. Committed to becoming the contractor of choice, pursuing excellence through dedication, experience and disciplined employees with an ongoing passion to deliver quality, safety, timely and profitable projects. YFY Engineering was established in August 2014 (incorporate in May 2016), the company secretary in Medan Putera Business Center, Kuala Lumpur and business office at Setia Alam, Shah Alam, Selangor. Currently has approximately 15 workforce (95% of the employees are technical professionals). It is a Bumiputera status company. 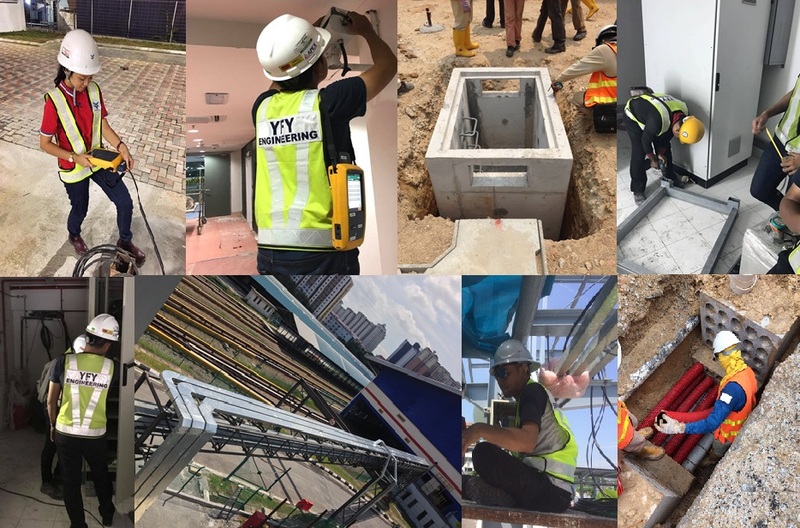 YFY Engineering Sdn Bhd provided material & man power supply, engineering, Installation & construction work to the Oil & Gas, Rail Way & Building industries related project and maintenance program. With over 12 years of work experience and continuous .